I have been trying to minimize Bonbon’s allergies for some time. Specially during Spring and Summer time, pollen is a real issue and it affects humans and dogs as well, and so much so Bonbon. When dealing with allergies, you can treat the symptoms but it is hard, nearly impossible, to cure them. There are different types of allergies that may come and go with the season. Sometimes dogs can grow into or out of allergies. I remember Bonbon never suffered any allergic symptoms until a few years ago, when he turned 6 years. Although it takes some effort and time, allergies can be reduced with persistence and patience. On November of last year, I took a well deserved vacation trip to Europe. It would be 30 days long and since I was going to stay in friend’s homes it was not possible to take Bonbon with me. As you can imagine this was a main concern for me but on the other hand I needed and wanted to go back to the “old continent”. It was quite challenging as to where and with whom I would leave him. Bonbon is a member of my family, as I am sure your Yorkie is for you as well. The hardest decisions will be with whom or where to leave them when you travel. The Yorkshire Terrier has been bred over centuries to be companion lap dogs. Wanting to be close to their owner and having a very close bond with his owner are inbred traits. You want. I am sure for them to be safe and comfortable without you, which is why it’s best to plan ahead when possible. With out any doubt, the sense of smell is the most developed one on dogs. Their nose, which is made of very sensitive skin, provides then with loads of information about the environment. 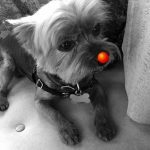 “dogs smell everything” causing their nose to be exposed to the elements, dirt, contaminants, etc. Does your Yorkie’s paws need special attention? As loving Yorkie owners that we are, we always look after our beloved best friends. We bath and groom them, we buy their favorite treats and the best food, we take them to their checkup at the vet, we do everything within our means to keep them healthy and happy, after all they are family. Even though we take care and want the best for them, we rarely take care of their feet and paws. Can a Yorkie be a working dog? Well known as friendly companions and adorable lap warmers, the Yorkshire Terrier is a popular breed of dog. However, they were not always bred to solely be family pets. Working class men in Northern England developed this breed of dog specifically to catch and dispatch rodents as they were a growing problem. This work ethic that the Yorkie was bred with still carries over today to our household pets. 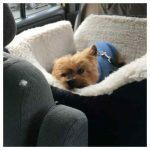 Any owner of a Yorkshire terrier knows how these dogs energetic are but unfortunately they are prone to a lot of dental conditions. This happens because of the original anatomy of their teeth. The problem is their jaw is a bit narrow in some places and their teeth become overcrowded and compressed at the same time. It is one of the reasons why the most of dogs of this breed suffer from gum disease and tooth decay. 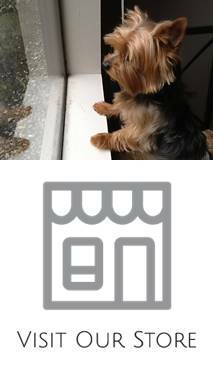 When choosing a Yorkie puppy as your pet, you need to pay attention to specific characteristics. First of all you need to pay attention to the health of puppies and if you see that some of them behave in a different way, you need to exclude them from your choice as if a puppy is a bit ill, it will be rather hard to train. Besides, these toy breeds are prone to health issues and it is rather important to choose the healthiest one. When you are going to buy a dog, you need to understand that your pet should not stay home alone for a long time. A Yorkie may really get depressed if staying without the owner and may even get a disease called separation anxiety. This disease may develop if you leave your Yorkie for long time periods. Yorkies are really sensitive dogs and the symptoms of this disease may really become vivid just after 30 minutes.